Real estate transactions worth more than AED158 billion ($43 billion) were recorded in Dubai in the first eight months of 2016, according to Dubai Land Department’s (DLD) Transactions Report. More than 38,800 sales, mortgages and other transactions were recorded in the study, issued by its Real Estate Research and Studies Department. It revealed that more than 15,493 transactions of a combined value of AED60.5 billion took place in June, July and August. “Real estate transactions in Dubai have demonstrated strong momentum since the beginning of this year, with growth increasing month by month – activity which substantiates that a positive correction in the domestic market is already well under way,” said Sultan Butti Bin Merjen, Director General of DLD. 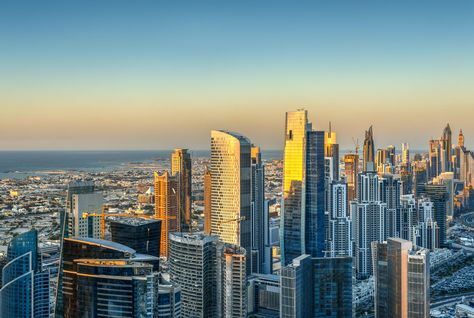 Property sales contributed towards 46 percent of total transactions, with more than 28,077 deals comprising a combined value of AED71 billion. Mortgages came in second, with of 8,482 transactions, for a value of AED66 billion. Other transactions reached a value of AED20.5 billion. Deals surrounding 10,054 land transactions saw AED115 billion spent, while 3.128 mortgage transactions recorded AED58.5 billion. Sales transactions attained AED38 billion from a total of 6,341 transactions, with other transactions gaining AED18 billion. The Seeh Shuaib 1, Sheikh Mohammed Bin Rashed Gardens, Hebiya 3, Al Yafra 3, and Al Yafra 5 were the top five areas of Dubai in terms of land sales transactions. The top five areas for land mortgage transactions were Thunaya 5, Hebiya 3, Wadi Al Safa 6, Wadi Al Safa 5 and Al Thunaya 4 areas. Business Bay saw the most unit sales, followed by Dubai Marina, Burj Khalifa, Jabal Ali and Warsan 1. Dubai Marina was top for unit mortgages, followed by Al Thunaya 5, Business Bay, Burj Khalifa and Muaisem 1. Sheikh Mohammed Bin Rashed Gardens saw the most buildings sales transactions, while Thunaya 4 topped the list for building mortgages. “There are a lot of positive signs contained within this report, which collectively demonstrate how the Dubai market is drawing great strength from a number of big infrastructure projects announced by the government,” said Bin Mejren. “The most important contributing factor to these robust figures remains the preparations by the Dubai leadership, in partnership with leading developers, to deliver a number of mega-projects which are laying the groundwork for a significant global event, which is the largest of its kind in the world”.